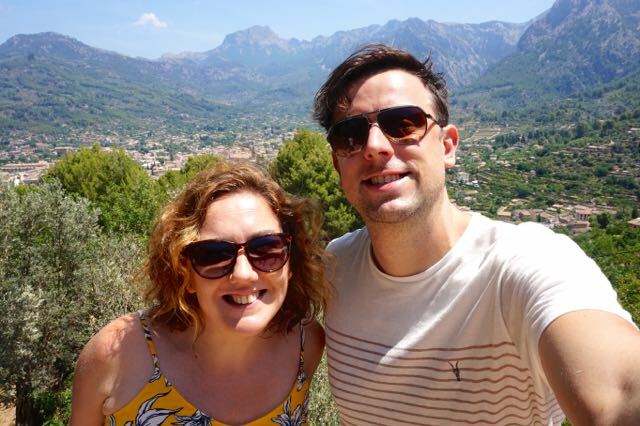 The British love affair with Majorca is one that has existed ever since charter flights first started taking holiday makers over for their annual summer holiday and much needed vitamin D top up. 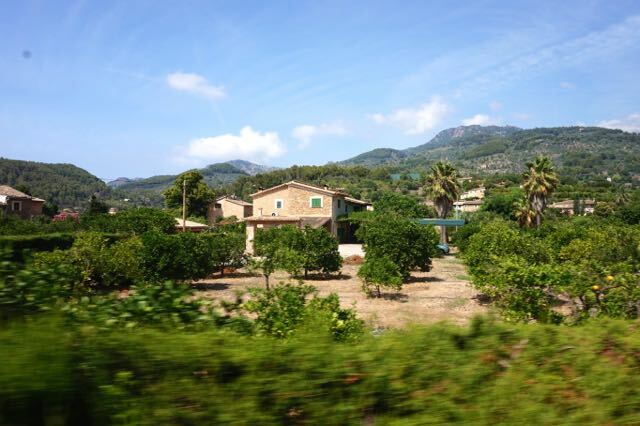 Whilst the island is very popular with us Brits it is fair to say few make it to Majorca’s capital (including myself – having spent many happy years visiting the charming resort town of Puerto Pollensa in the north). 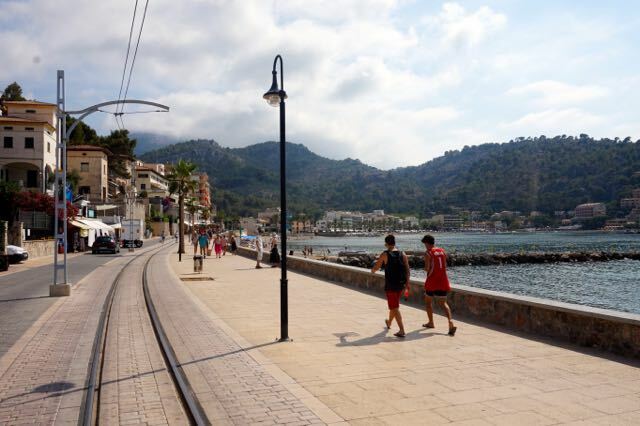 As planes arrive and transport takes people away to the island’s coastal resorts the capital has quite easily become one of the Mediterranean’s ‘hidden gems’. 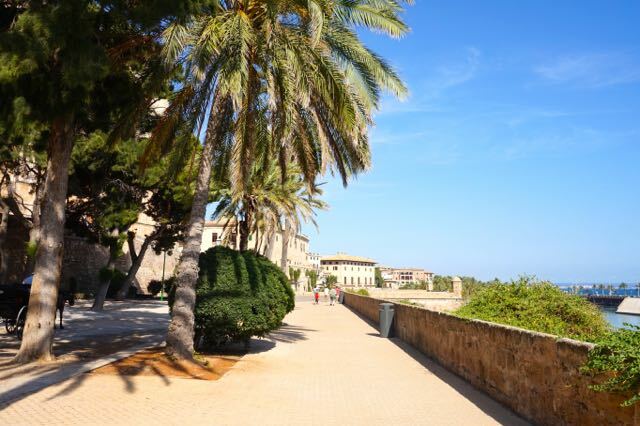 So read on and find out why Palma should be next on your list as we explore this beautiful city in our latest weekend break. 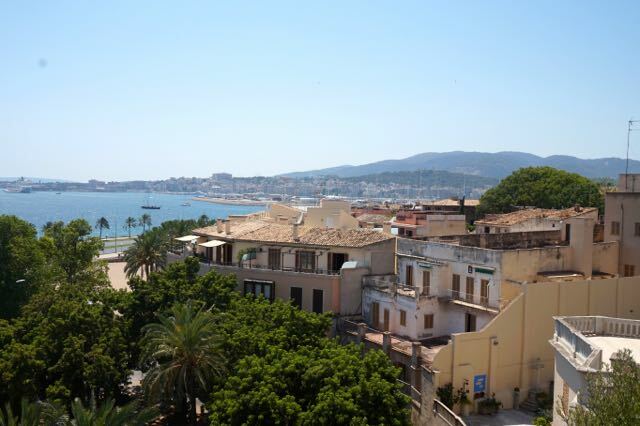 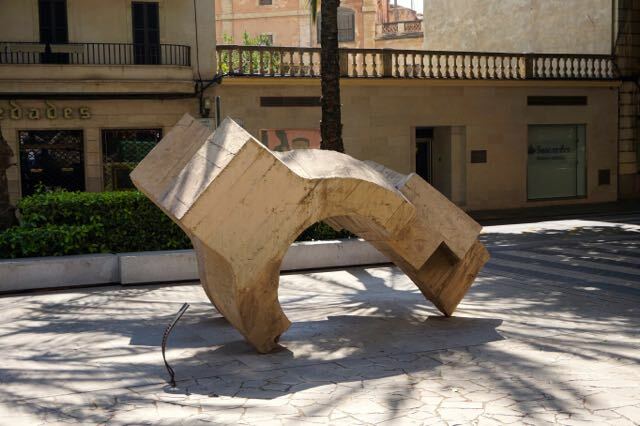 Around 2 hours flight from the UK sits Palma on Majorca’s southern coast. 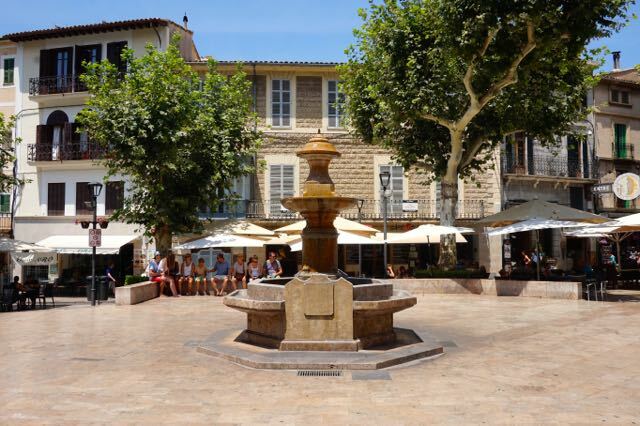 A capital city full of surprises – it’s old town is rich in history and architecture, winding lanes and large plaza squares are dotted with bars, restaurants and cute little pasty shops selling the islands famous baked goods. 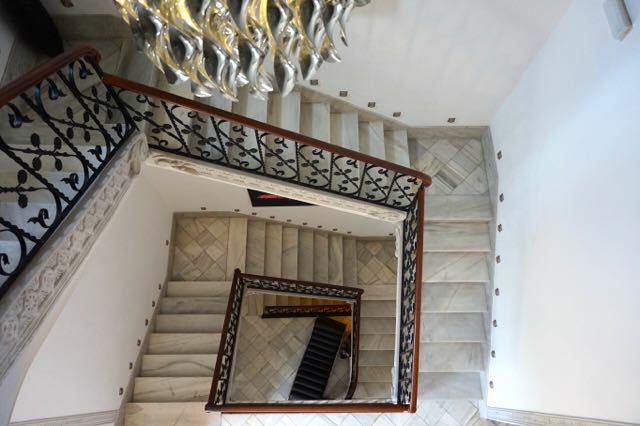 A wealth of architectural and historical goodies are there to explore, tree lined boulevards with luxury shopping brands you would expect to find in Paris or Milan make shopping in the city a dream and with more 5 star hotels than you would expect – there are plenty of options to rest your head in luxury. 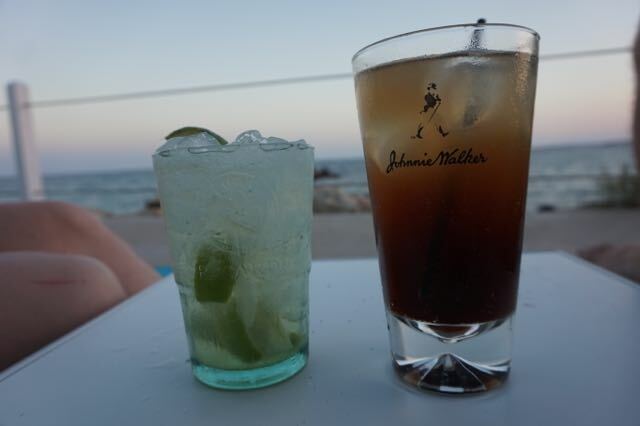 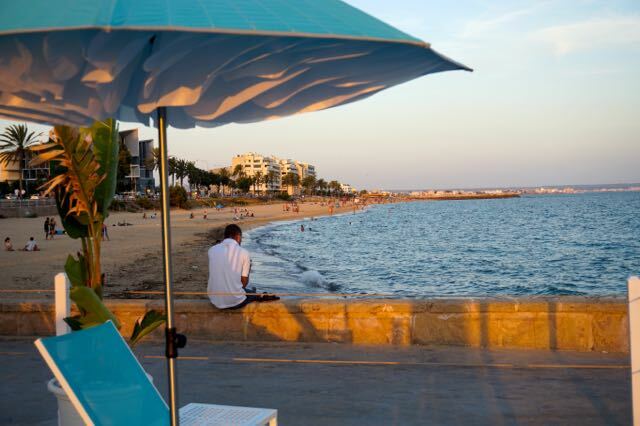 A ten minute walk from the old walled town and you have a city beach and marina and access to the sweeping Badia de Palma, bars dot the bay and make it the perfect spot for a drink and to watch the sun set. 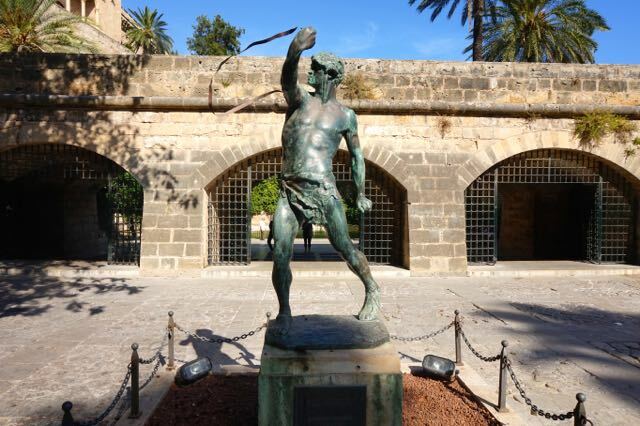 And within less than a hours drive you can reach virtually all areas of the island. 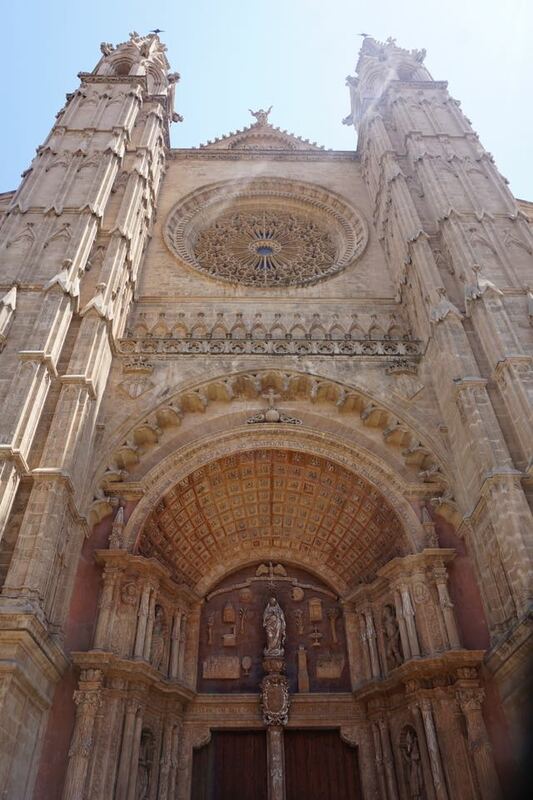 So Palma really does have it all! 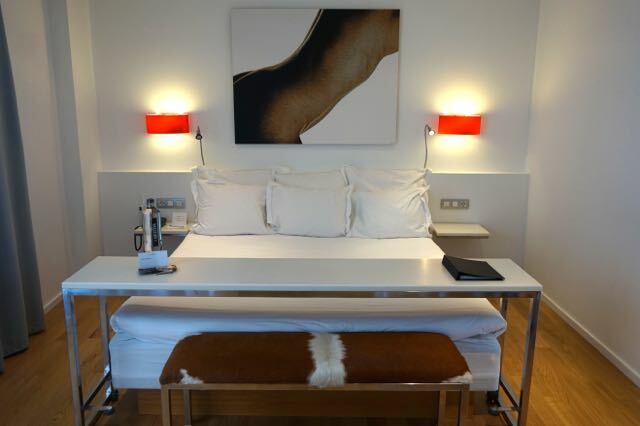 If you want city centre luxury, three brands that lead the way are Hotel Tres which is right in the heart of the city and Boutique Hotel Calatrava which is set nearer to the beach in addition to Sant Francesc Hotel Singular in the historic old town. 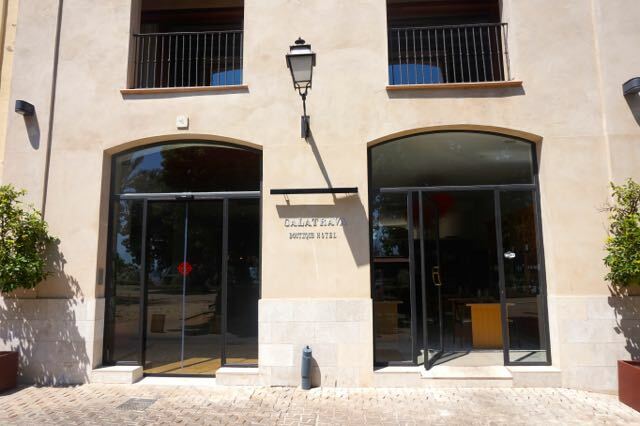 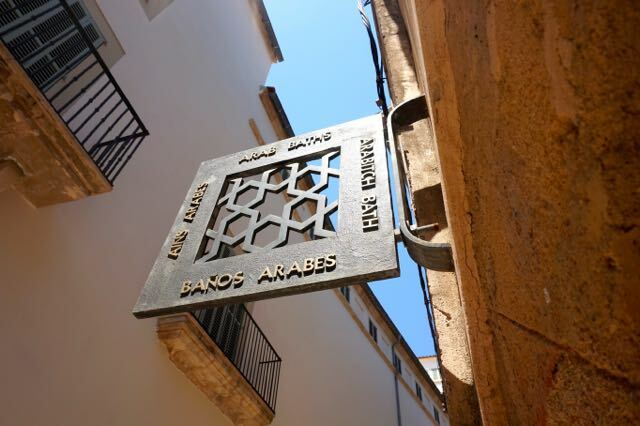 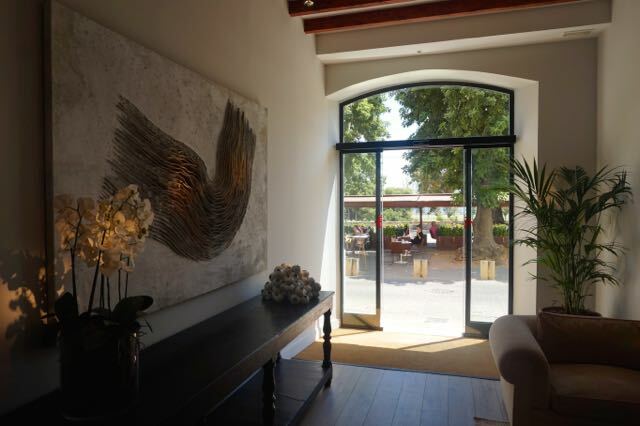 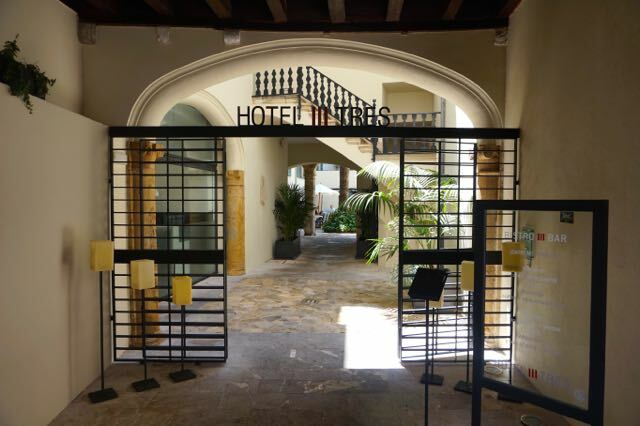 Hotel Tres mixes old with new, housed part in a 16th century palace and part in a modern building its finish is contemporary and oozing with Majorcan character. 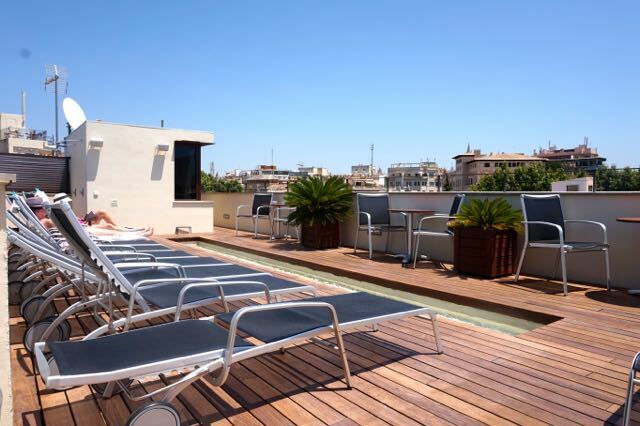 Perfect for a shopping and dining weekend as it is close to the main shopping district and the rooftop pool is the perfect oasis of calm. 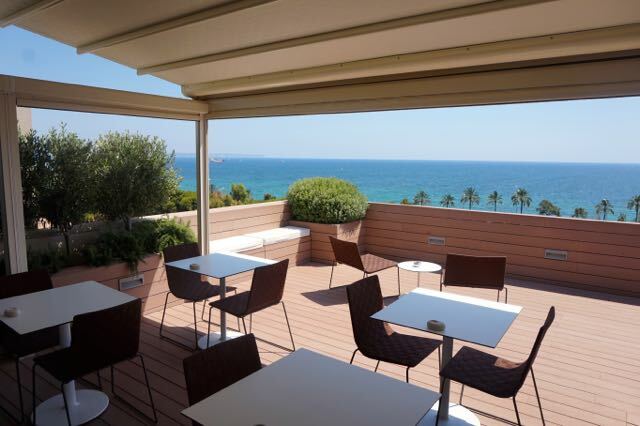 Positioned next to the walls of the city’s old town with a uninterrupted view out to the bay and sea beyond, Boutique Hotel Calatrava is the perfect base to have a truly relaxing experience in Palma. 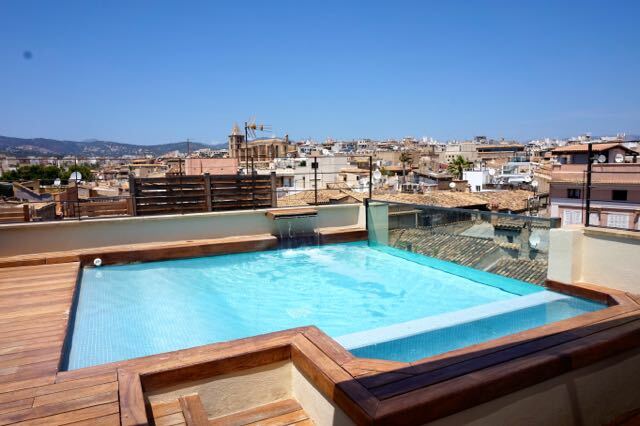 Bright airy rooms, intimate spa and roof top sun terrace will get you into the Mallorcan way of life in next to no time. 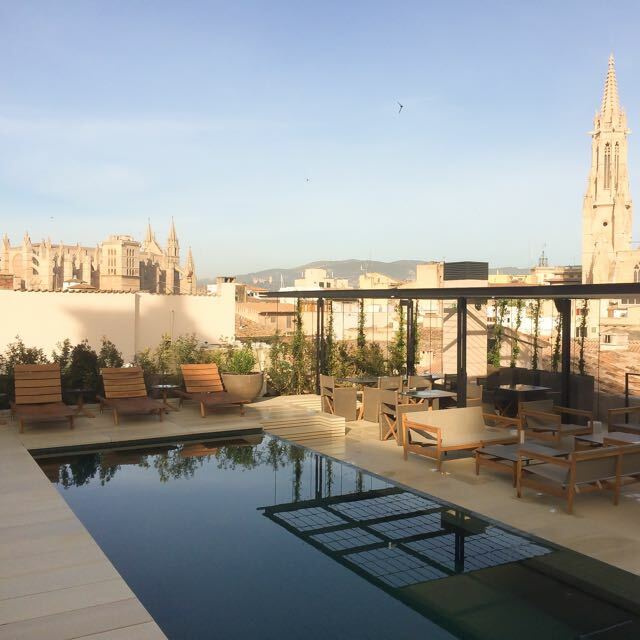 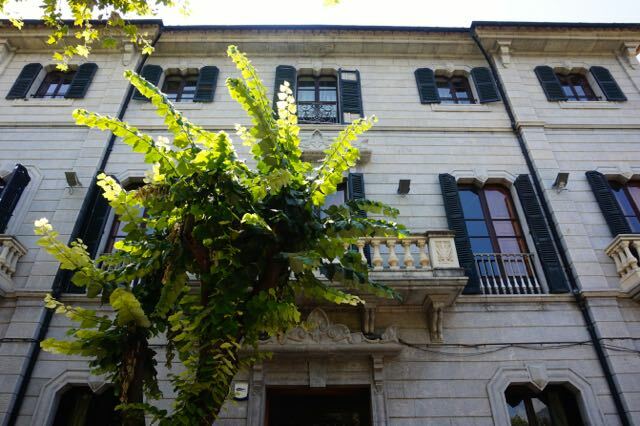 Found within a converted, 19th century Mallorcan mansion, this 42 room boutique design hotel is within the historic old town of Palma. 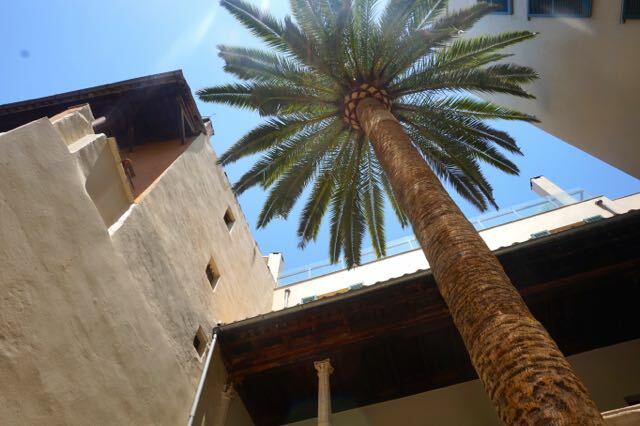 Overlooking the quiet square of Sant Francesc, with the Sant Francesc Basilica and period houses as neighbours. 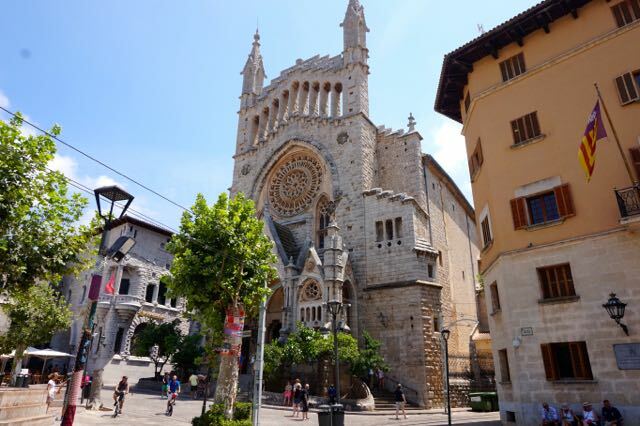 There are many things to do in Palma, but we have picked out a few experiences that we enjoyed while we were there and think you will too. 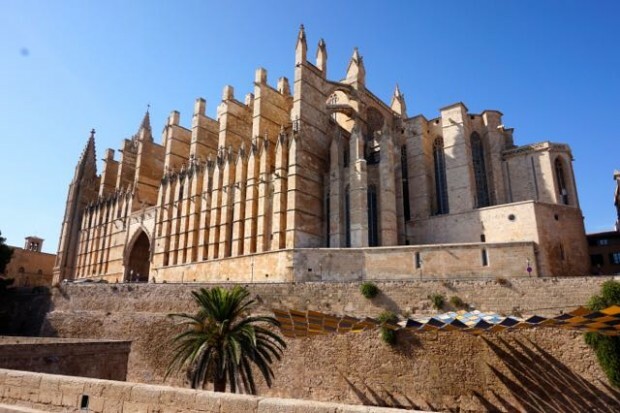 A beacon in the skyline for miles around, Palma cathedral is a true expression of Gothic architecture. 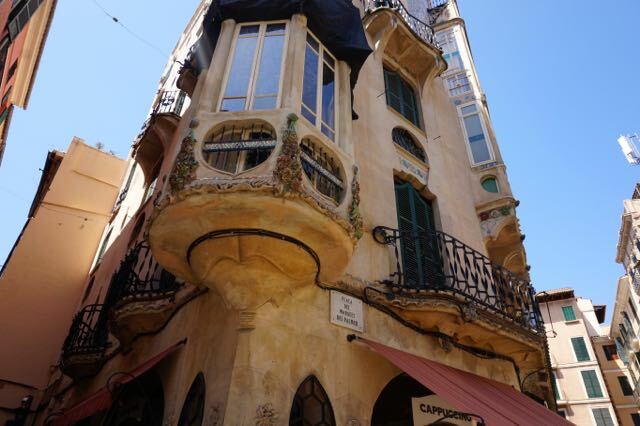 Built in 1601 in place of the destroyed central mosque, additional work to the interior was undertaken by Gaudi in 1901 and it is beautiful both inside and out – a must see when you are in this city. 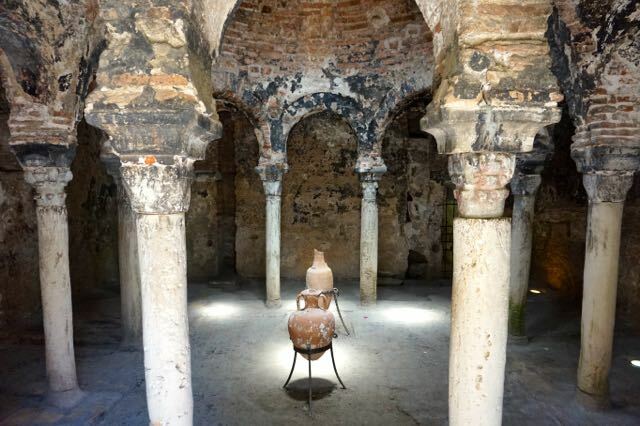 One of the few remaining monuments to Muslim culture on the island. 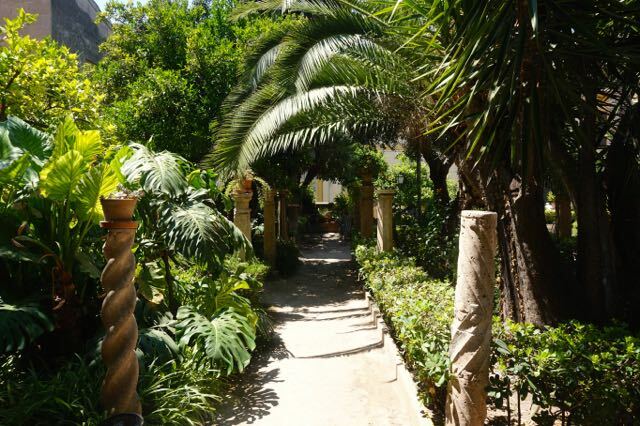 All that remains are two small chambers and original gardens. 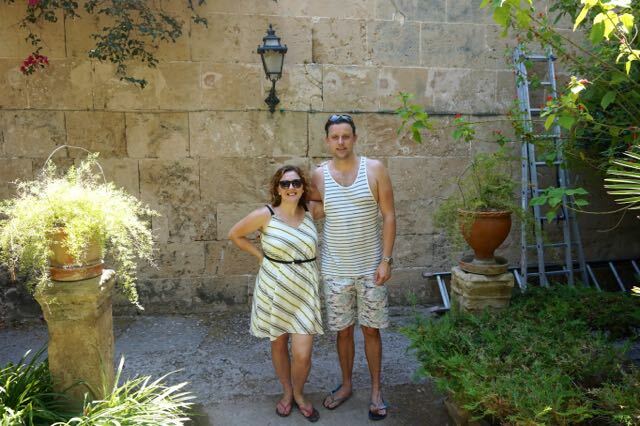 The baths are thought to have belonged to a private mansion and are a fascinating place to explore. 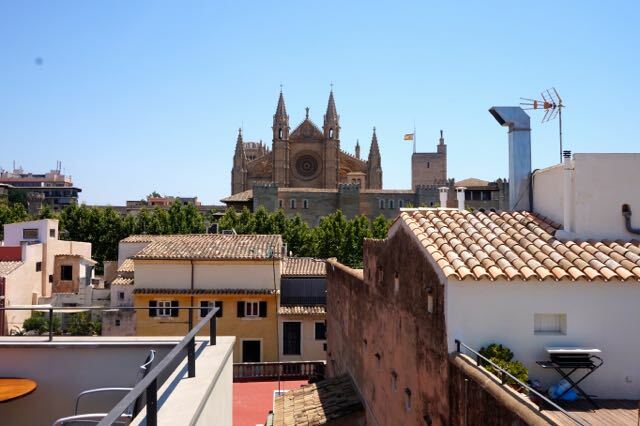 In fact, at TLE we’ve discovered that one of the best ways to indulge your Passion for Palma is with the new PalmaPass. 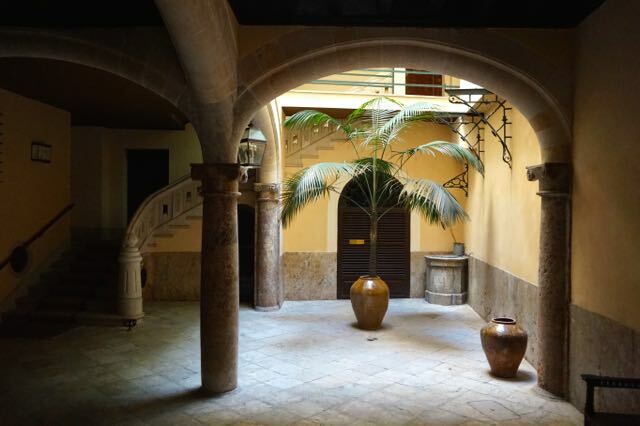 For a fixed fee, you can buy one of these digital passes that literally opens the doors to Palma de Mallorca’s treasures. 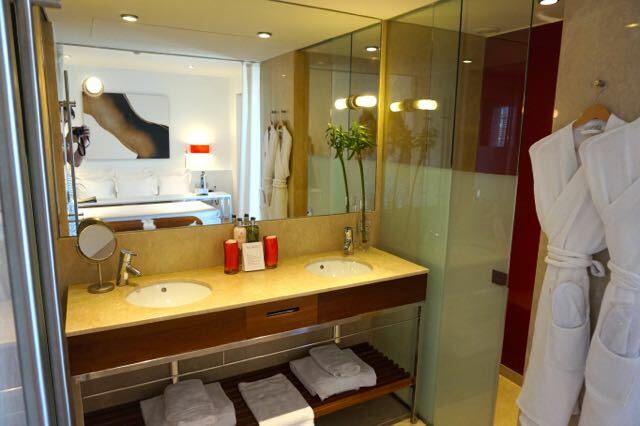 It gives free entry to museums and tourist attractions like the wonderful cathedral, and the adjacent Royal Palace Almudaina; allows you to hop on and off the city’s buses and transport as much as you like; and provides discounts and promotions in the city’s restaurants and shops. 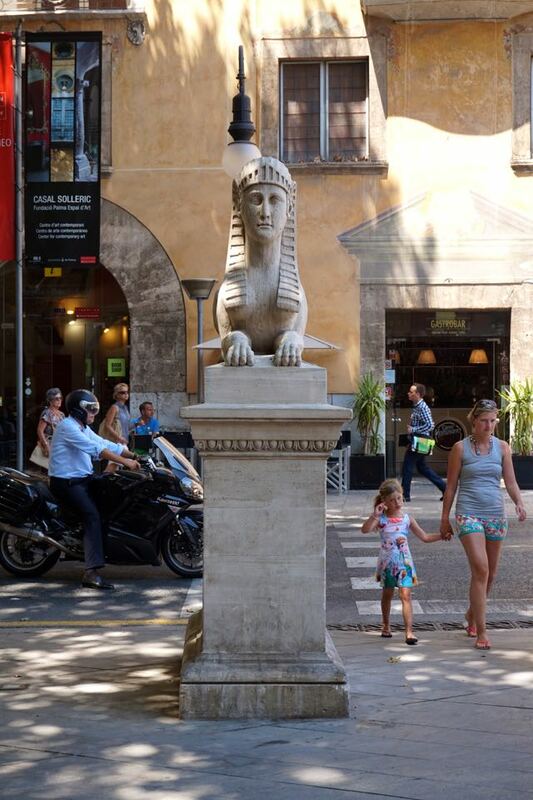 Palma’s shopping really is second to none, most of the action takes place in and around Passeig Del Born (look out for the two stone sphinx’s and you know you are on the right street). 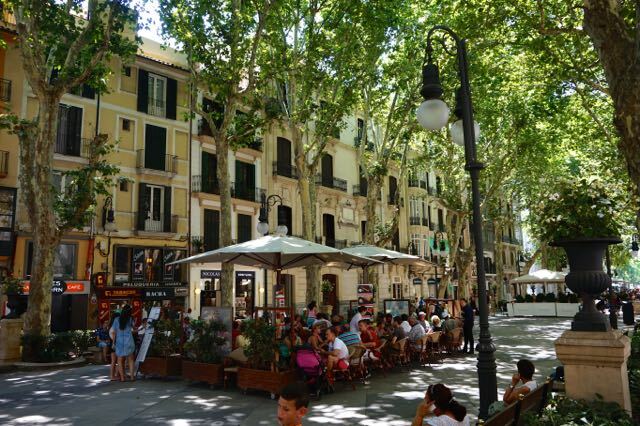 This tree lined boulevard is home to virtually every luxury brand you can think of. 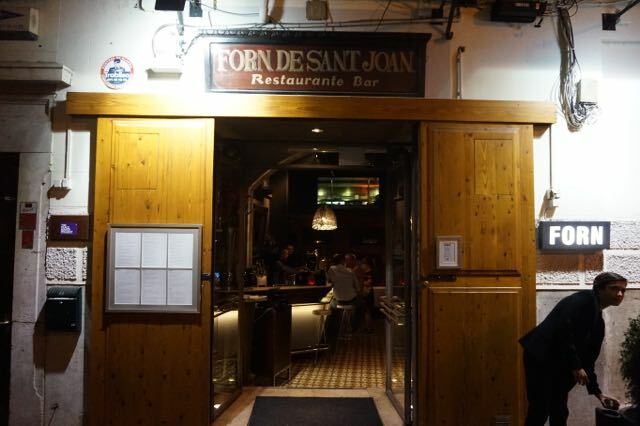 If department store shopping is more your thing then El Corte Ingles (which there are two in the city) has floor upon floor or concessions and is only a five minute walk from Passeig Del Born . 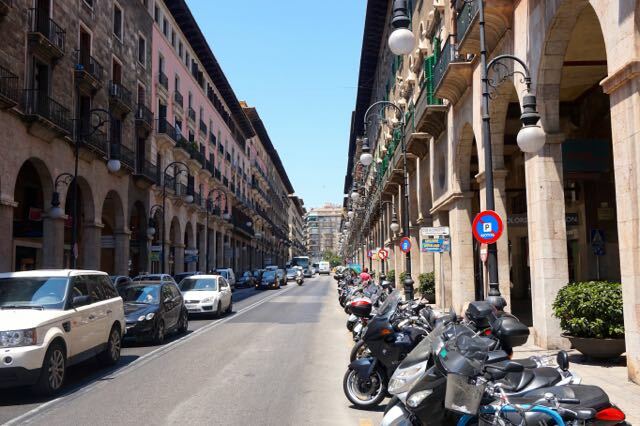 If you are looking for independent boutiques and more European chain stores then head to the streets in and around Plaça Major in the centre of the old town. 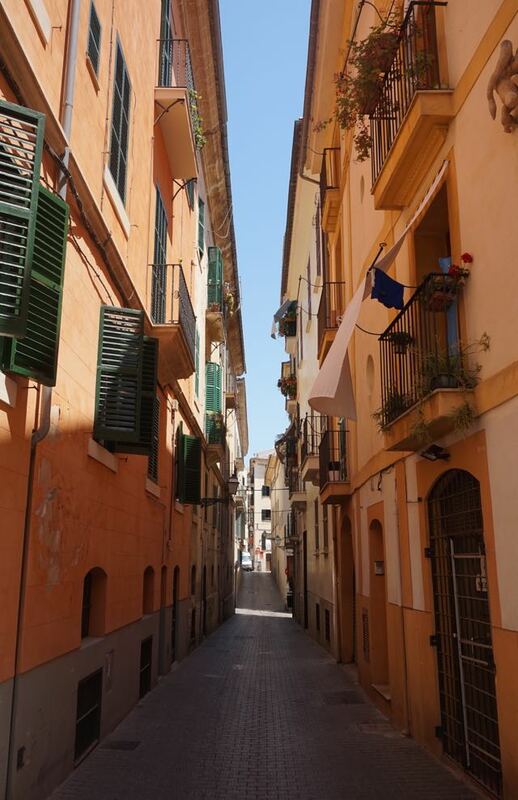 This is Placa Major in the centre of Palma, most streets off this have shopping boutiques to explore. 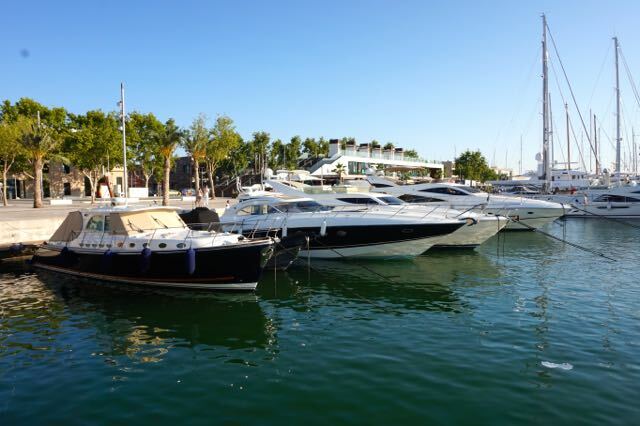 Palma has a public beach around ten mins walk from the old town, it’s perfect for relaxing and soaking up the sun, however for crystal clear; pollution free water you need to head away from the port and marina. 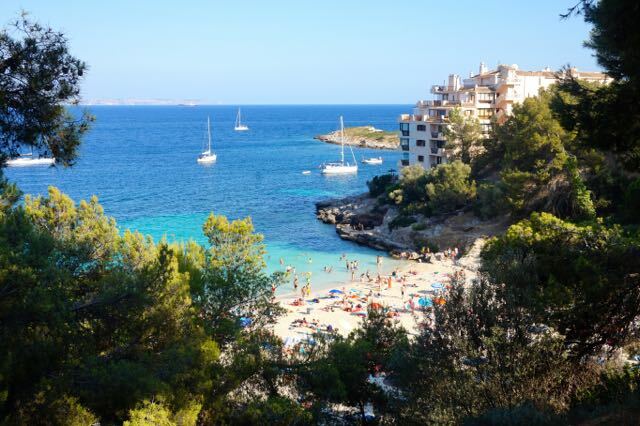 Take a taxi to Illetes, which is a pretty little cove (below) that is virtually void of any tourists and is where the locals come for a dip. 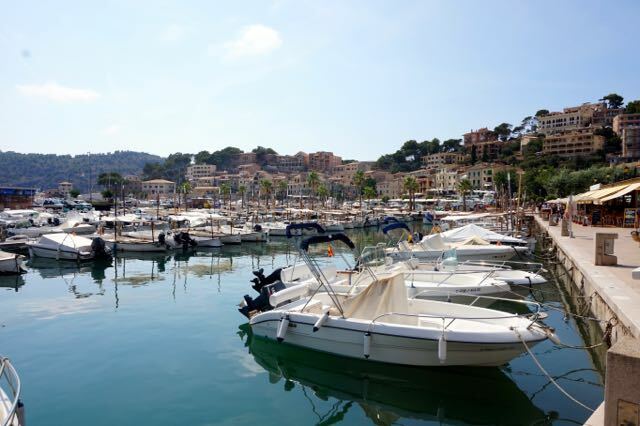 There are nice bars and restaurants around the cove and swimming lanes have been setup to keep boats away making it extremely safe to swim in. 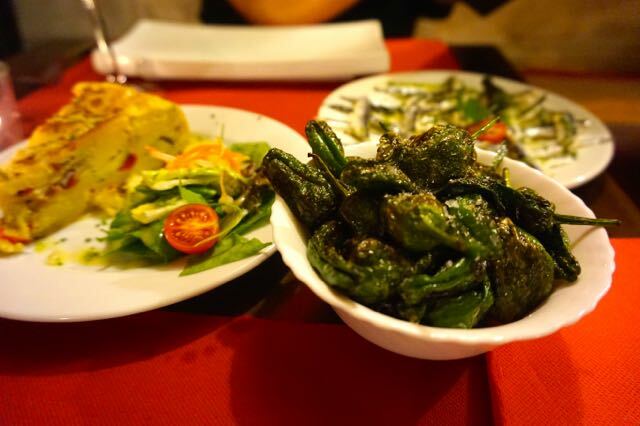 Majorca like the rest of Spain is all about tapas… and thank goodness it is. 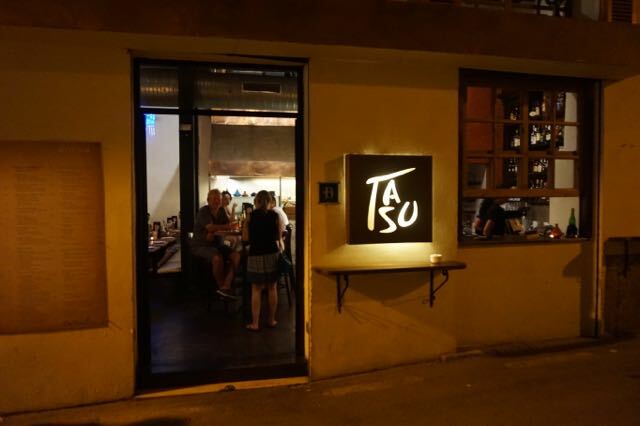 Most restaurants in the city will have some sort of tapas on offer. 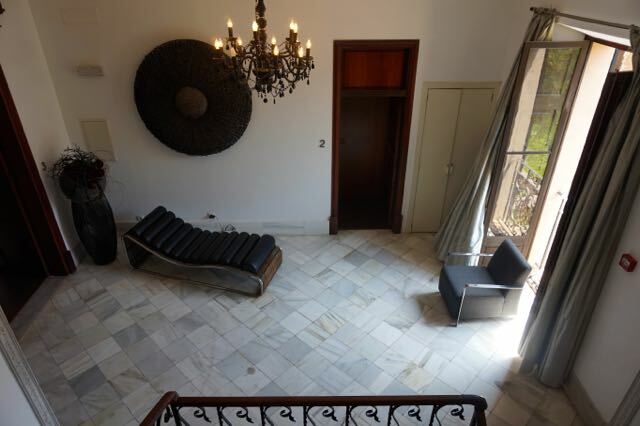 A few we can recommend are listed in this section. 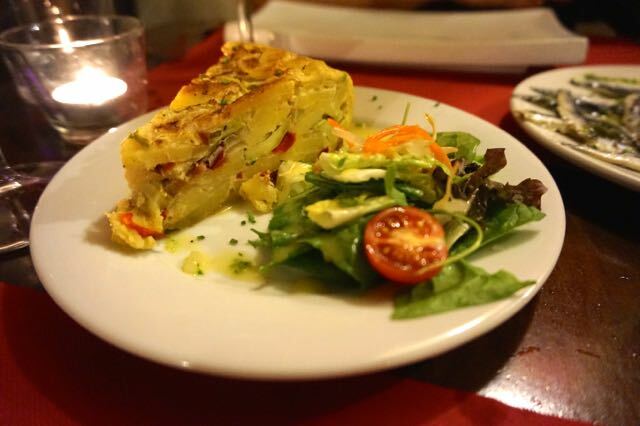 Located near Hotel Tres, this Majorcan tapas bar is small and intimate, serving all the local favourites, make sure you try the sardines and the spanish omlette is pretty awesome too. 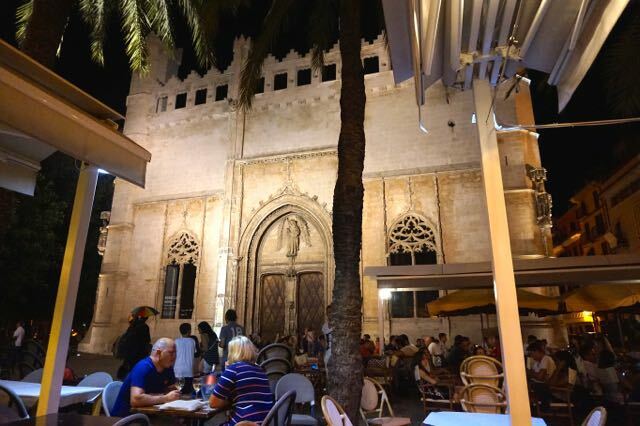 There is live spanish guitar playing too for the tourists, great atmosphere! 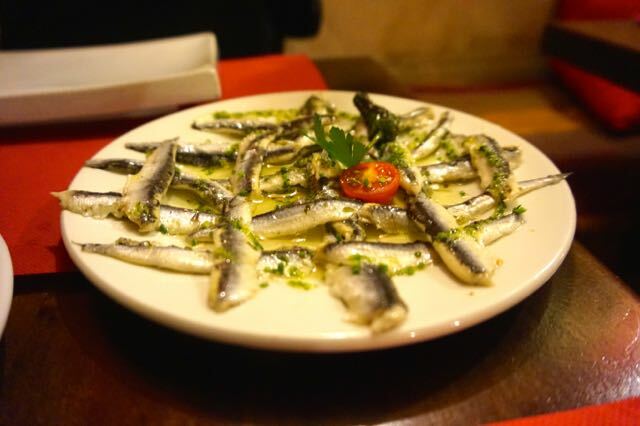 Around Calle Apuntadores you will find many Tapas bars and restaurants so you won’t have to look far for great food. 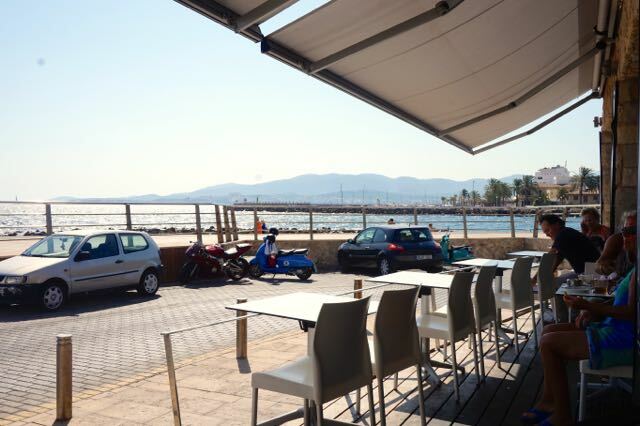 We received a tip off about one Tapas bar on the beach called the Tapas Club. 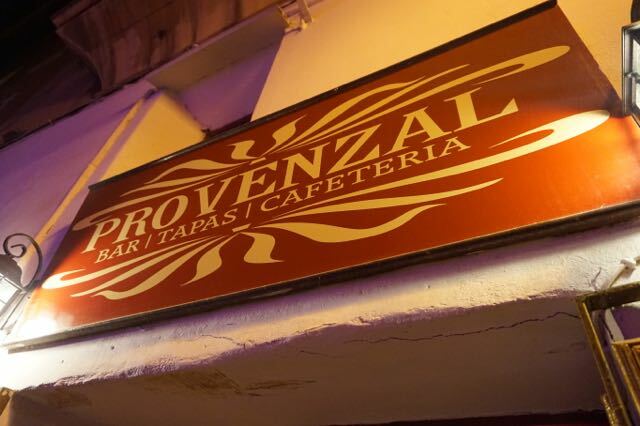 Located in Portixol a district slightly outside the city centre (25 mins walk along the beach). 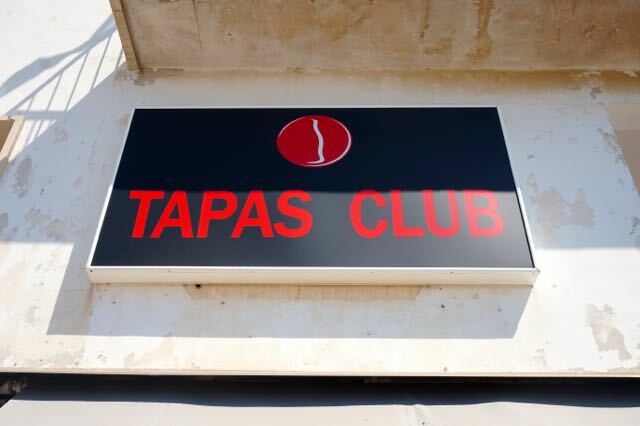 The Tapas Club has a great range of tapas on offer and that winning combination of food, beach and wine is perfect for a lazy afternoon lunch. 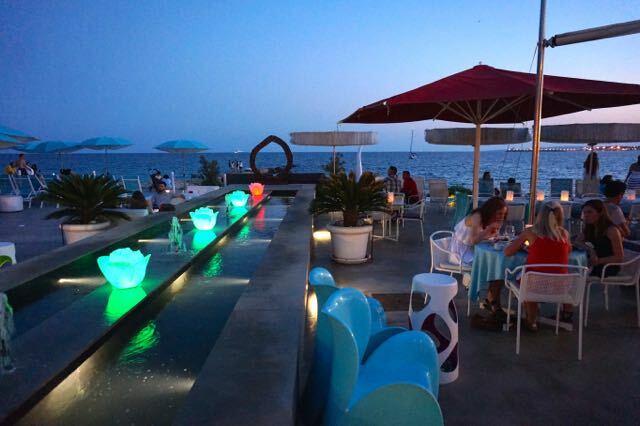 For that picture postcard sunset and cocktail moment head to Anima Beach bar at the marina for sunset drinks and cocktails, take a sunlounger at the front and order your favourite cocktail and you are in Majorcan heaven! 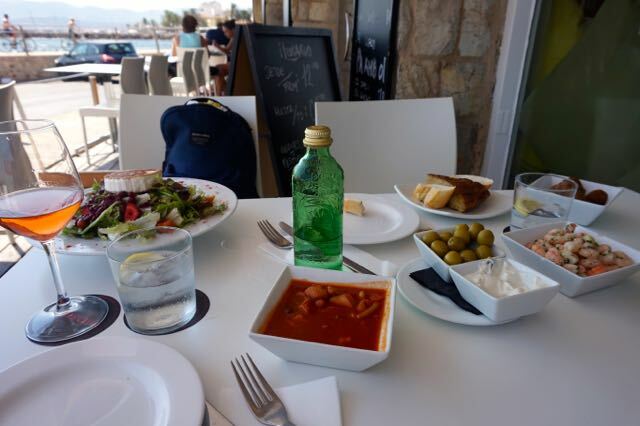 Eating in Palma is all about snacking too, so big meals during the day are not always necessary, break the afternoon up by trying some of the islands famous pastries (Ensaïmada) and if you like pork then you are in the right city! 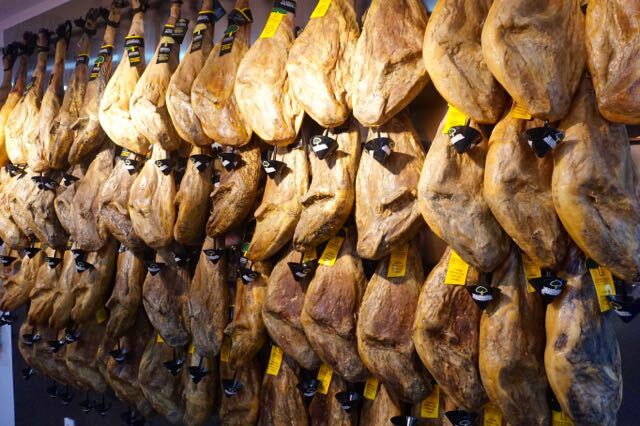 There are many shops selling sliced gammon stuffed into freshly baked baguettes – I didn’t try any of the meat products but my holiday partner gave them the thumbs up. 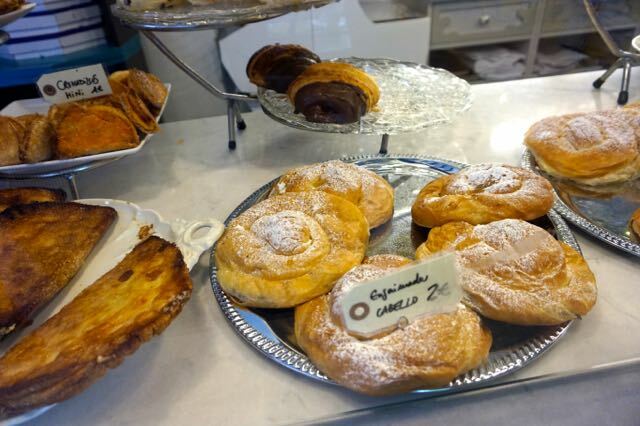 If you are vegetarian like me it is worth pointing out that many of the baked goods in Majorca are made using pork fat – so worth checking before you eat them. 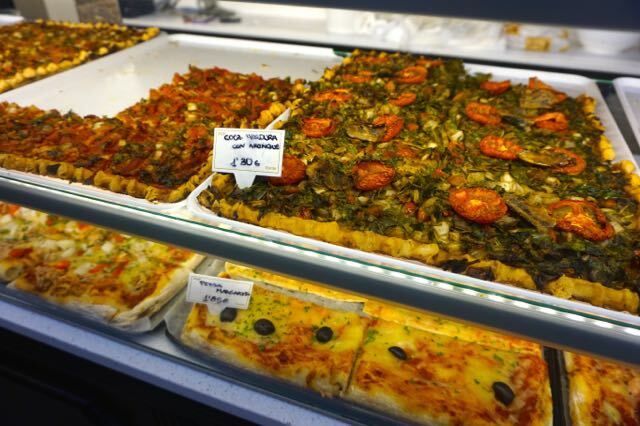 As a child visiting the island I loved the sliced pizza that you can buy in hundreds of shops across the island, and I am happy to say I love them as much as an adult as I did as a kid. 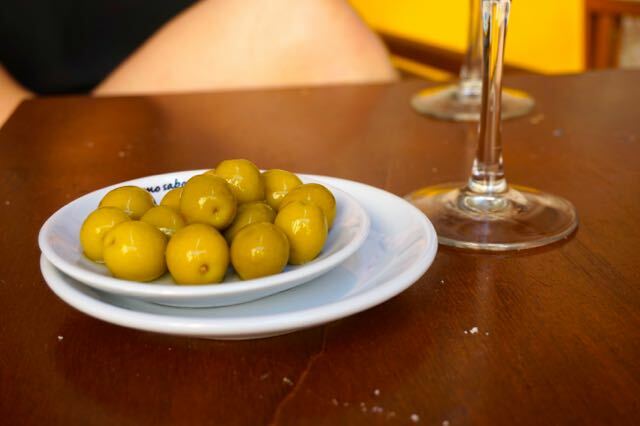 What could be better than a glass of wine and a bowl of olives. 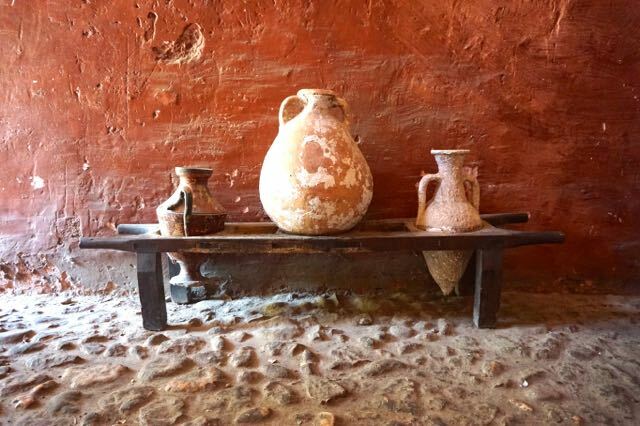 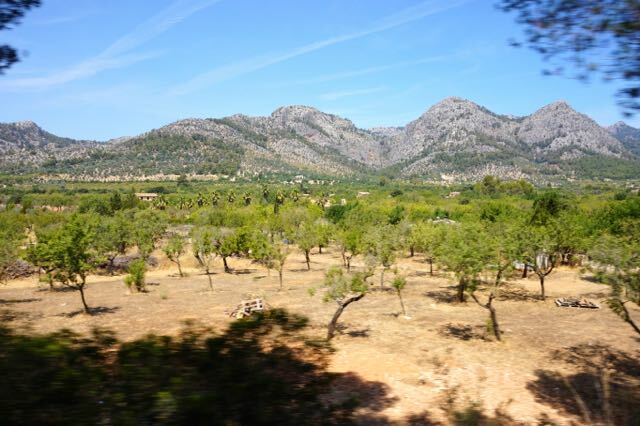 Most bars serve great quality wine – no need to buy expensive wine it is all good and most places will serve Majorcan olives with your drink too. 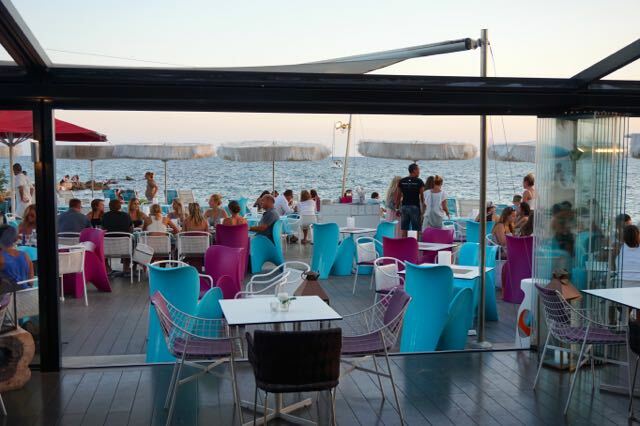 And let’s not forget the seaside favourite ice cream! 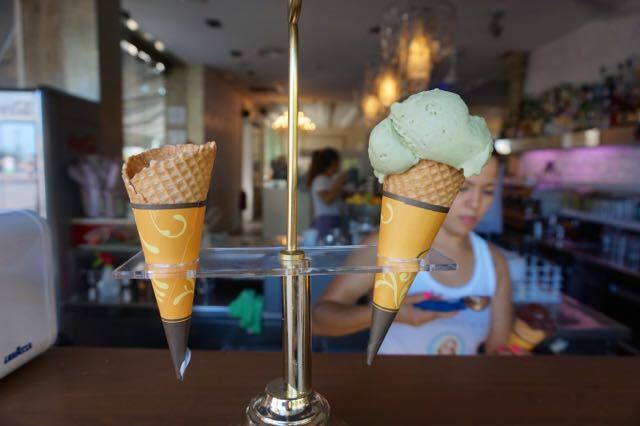 There are great ice cream shops dotted all over the city. 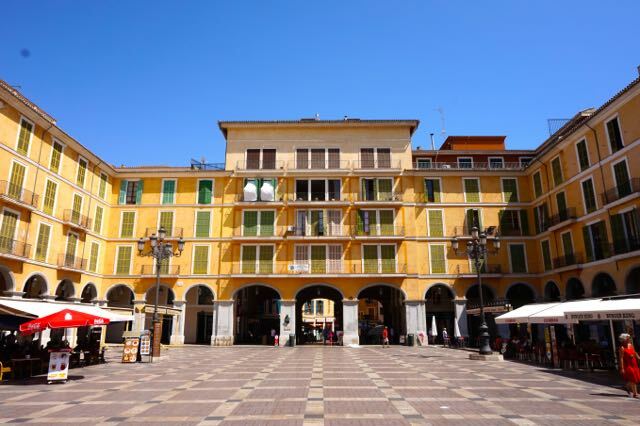 The ice cream shops located Placa de cort (the plaza in the centre of the town with the big olive tree) are always busy and that’s because the ice cream is delicious! 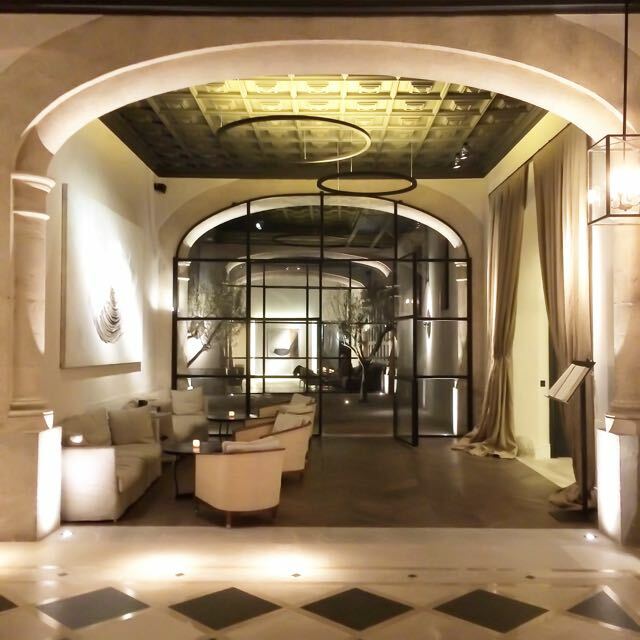 And finish your night off at Placa de la Llotja, we did this on the first night, great atmosphere and a good place for a dessert and a night cap. 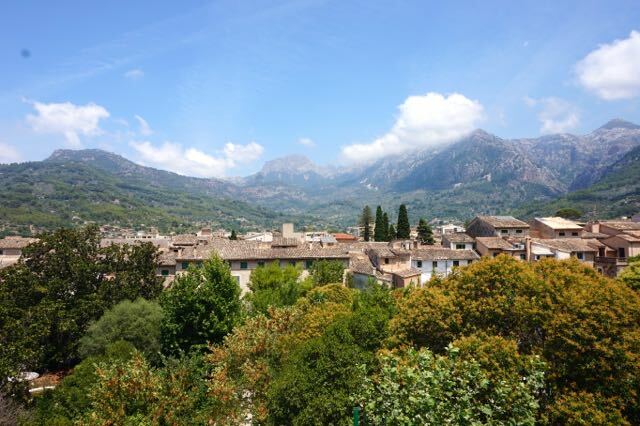 One of the beautiful advantages that a small island has over other city break destinations is that everything is close by – with most areas within Majorca being within an hours drive you can easily bolt on a day trip, of which the island has many of. 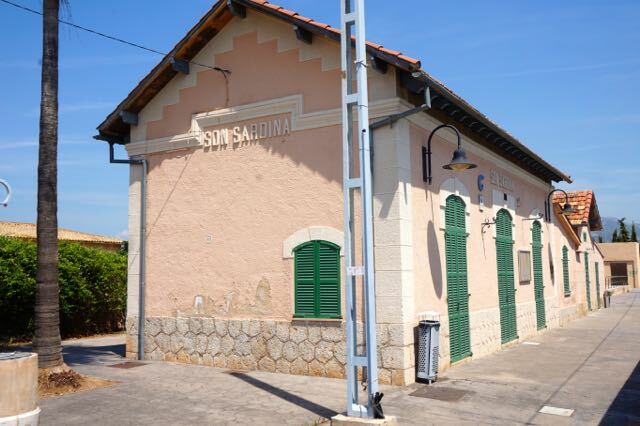 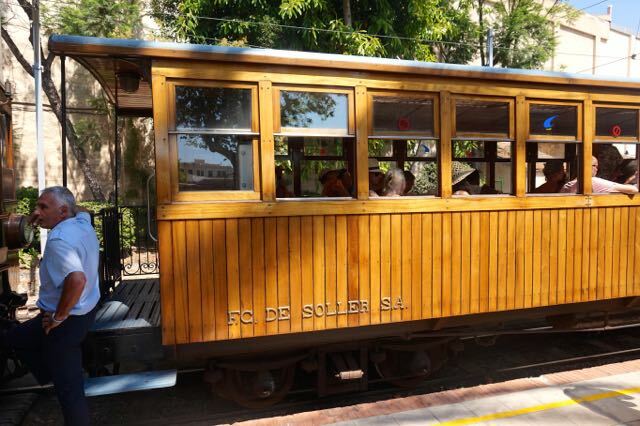 A key day trip that requires no car is taking the original Victorian train system to Sóller. 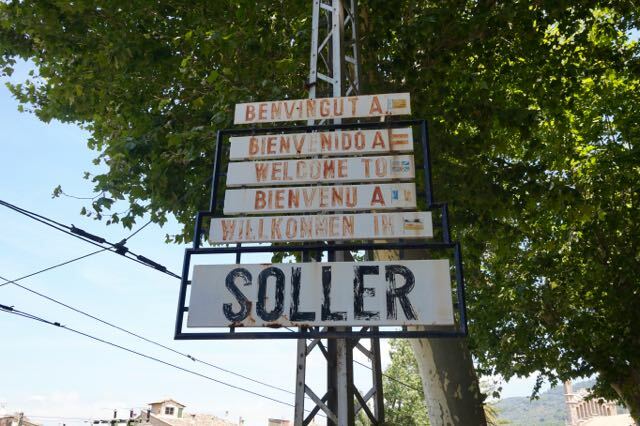 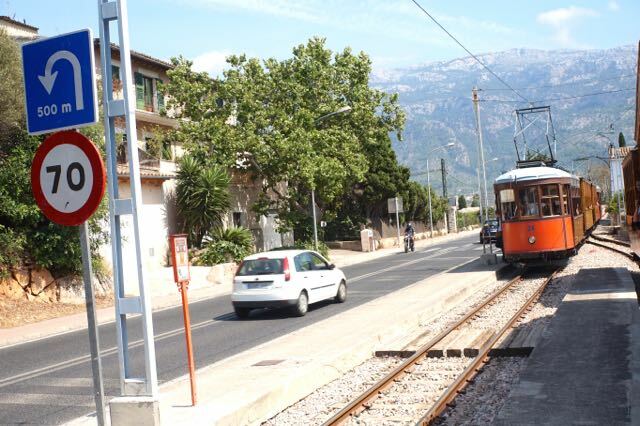 Head to the train station at Plaza Espana and the approx one hour journey will take you through the Majorcan countryside up through mountains, arriving at the picture postcard inland town of Sóller. 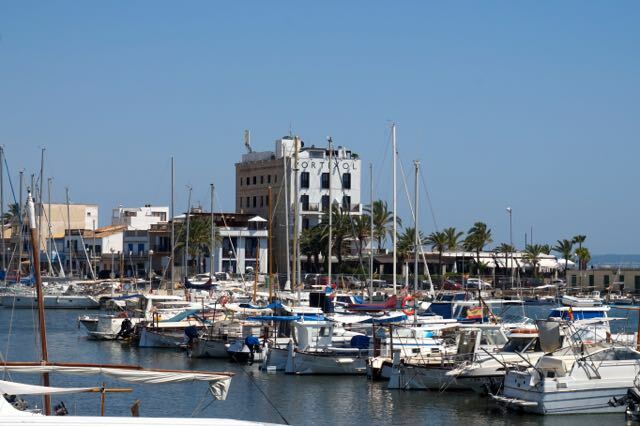 Like a number of towns in the island, the town is split into the town and the port. 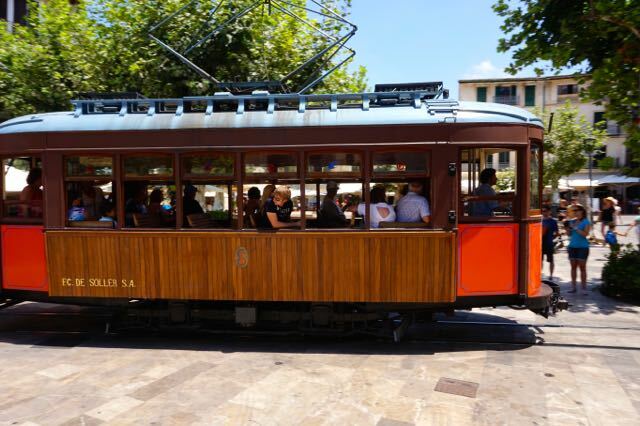 The port is around 4km from the town and you can take the Victorian connecting tram and it is well worth the round trip. 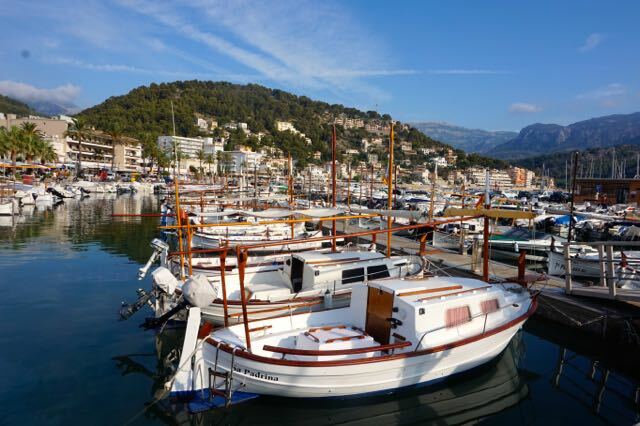 Make sure you save yourself for some lunch at the port, lined with seafood restaurants it’s the ideal place to try some locally caught fish. 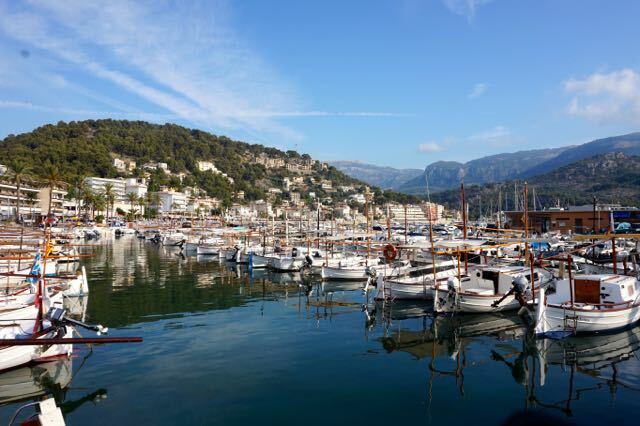 If you fall in love with Sóller, which is easily done then one hotel we recommend is Hotel L’Avenida, this beautifully appointed and Mr and Mrs Smith approved hotel is luxurious and relaxing and the pictures below do all the talking. 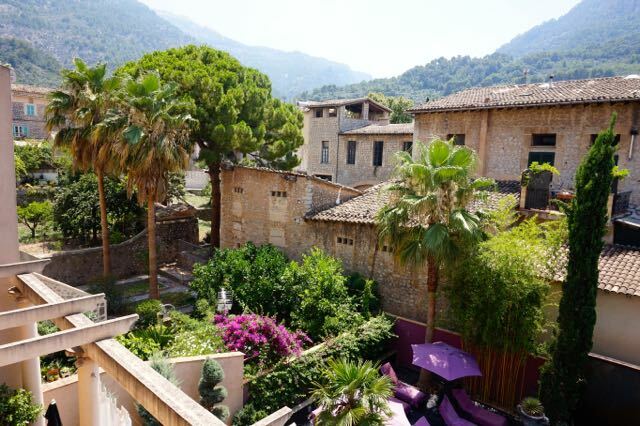 Below is the view from one of the bedroom windows, one word WOW.